Roof racks are a set of bars attached securely to the top of a vehicle that is used to help carry bulky items to your desired destination. There are many different kinds of roof racks available, but today we will cover the use of a standard cross-bar roof rack. First, you need to make sure you have the measurements of the box or bag that will be placed on the rack. 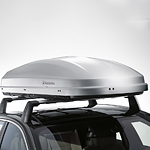 When it comes to a cross-bar roof rack, the box must be able to be fitted onto the square that the cross and sidebars of the roof rack create. Keep in mind that you do not have to worry about whether or not the cargo hangs over the carrier if it is not a cross-bar roof rack. For more information on roof racks, contact Fox Kia in Grand Rapids with your questions.